Imagine singing in front of a room full of people, bright lights shining in your face. 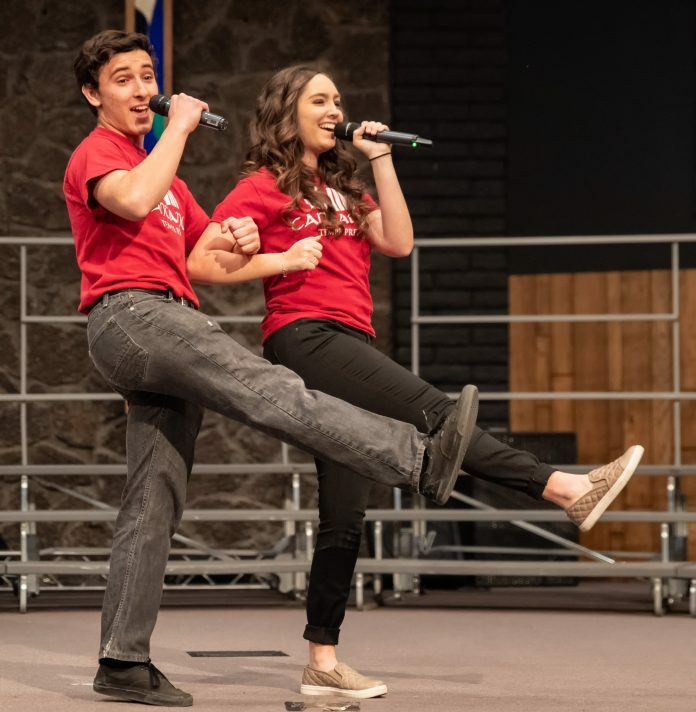 This is what Tempe Prep’s 10th and 11th graders had to do in their most recent concert. This concert that includes all 10th and 11th grade students has been performed annually for eight years. Another concert, the Fine Arts Dessert Concert, happened on Saturday, Nov. 17. There were lots of people watching and enjoying delicious desserts. Madison Hanosh and David Smith started off the concert with a TPA rendition of “Be Our Guest,” accompanied by Dr. Wolfe. The rendition was written up by Dr. Wolfe and Mr. Sanderson, who came to Madison and David with the idea. They started practicing about two months before and nailed it. The concert went on, with songs from Bel Canto, Cantamus, and Sinfonia. One song Cantamus sang was “If Music Be the Food of Love” going with the dessert theme. Mrs. Wilkison accompanied Catherine Ross in a “Violin Concerto in A Minor” by Accolay. The concert concluded, and the audience applauded. Article by Taylor Conley, a student staff writer for De Equitibus, Tempe Preparatory Academy’s student newspaper.